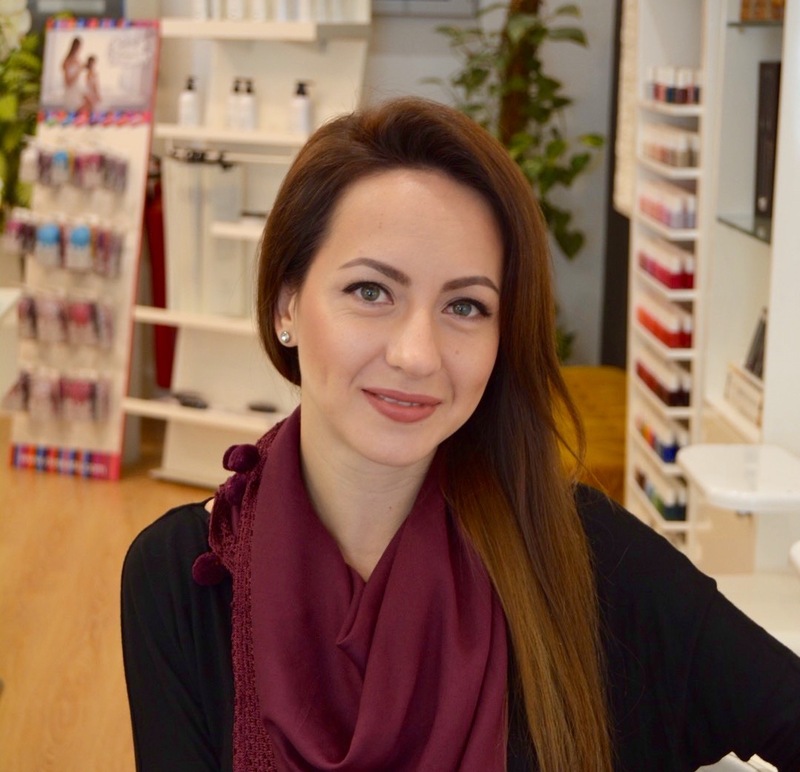 “Focusing on beautiful believable hair color and hairstyles that reflect and respects the clients lifestyle and personality is my philosophy when it comes to hair “ says Anna Ivchenko, the Color Master and Creative artist at Blo Dry Bar. Dubai is a fabulous city. And this city brings the most versatile and talented hairdressers/colorists. Every hairdresser comes with a different set of skills, a different experience. I happened to meet Anna while I had booked myself for a quick treatment at BDB(Blo Dry Bar). Anna was one of the most warmest hairdressers I had met in a very long time. She had a way of making you feel confident that you were left in the right hands when it came to your hair. 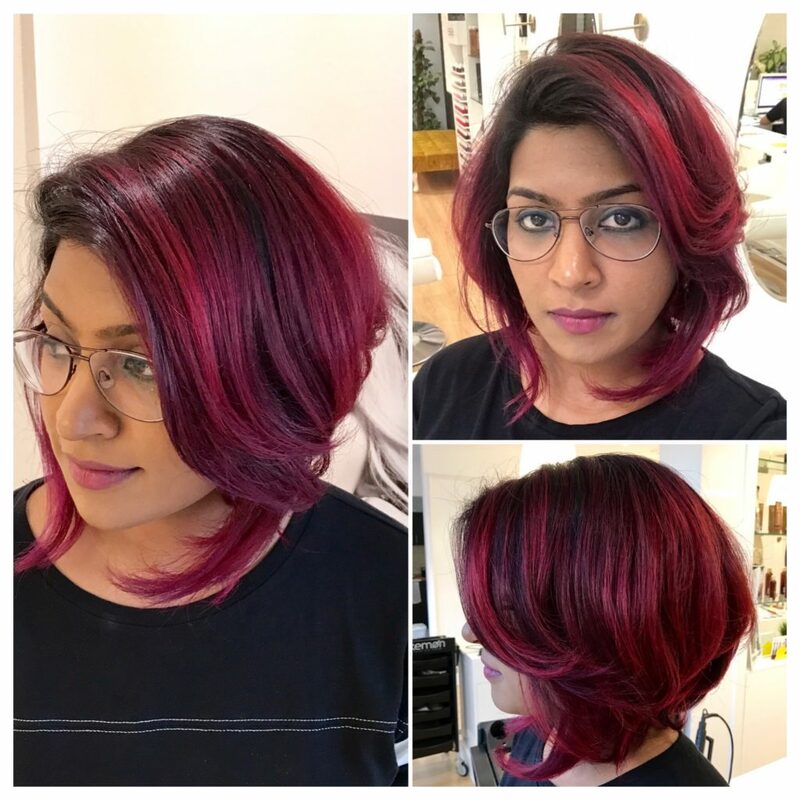 Though I already knew about Olaplex, Anna gave me an entirely new perspective on how olaplex works and why I should consider a change with my hair colour. She spoke about how she travelled, worked in different countries and how she loved her work no matter which country she lived in and why she made sure to make her clients feel utmost comfortable and happy by the end of the day. She believes in a long term relationship with her clients, hence making sure to do the best for them is all that matters to her. After a good day spend at Blow Dry Bar for my hair and a long chat with Anna, she convinced me for a complete change in hair color. I was quite nervous of a drastic change but she did a fabulous job. I am loving every bit of my hair after Anna worked on it. My hair has gotten healthier and happier. Though the color technique took longer than expected mainly due to my resistant black hair and previous color, the end result was worth the time. 1. Tell me a little about yourself and how hairdressing happened? My mom used to own a salon in Ukraine. I grew up watching my mom working on her clients. During my junior high, I started assisting my mom at her salon with basics like washing and cleaning the towels and later assisting her with colour and highlights, that is when I slowly started developing an interest and fascination towards colouring and hairdressing. After graduating as a chemist from the university, I realised I still had a strong passion for hairdressing, so I began my journey as a hairdresser. That lead to my association with the most prestigious French Organisation like L’oreal and Dessange International Group. My roles at these companies ranged from a senior hairstylist and a master trainer. In the process, I became a certified hairdressing professional from British Multinational Steiner company and also worked on a 6 star cruise liner. 2. How did Dubai happen ? I always loved to travel and I enjoy discovering new cultures, habits, meeting new people and gaining valuable new experience from this process. So when we decided to relocate to another country with my husband, Dubai seemed an ideal destination for a better and safer living for my family. Dubai is a fertile ground for talented and ambitious people and provides to hard working individuals opportunities to prosper and grow their craft. 3. What is the common issues of hair with your clients in Dubai ? Women in Dubai and in the Middle East are very conscious about their looks in general, their hair and make-up. That is why they prefer to follow the latest trends. They expect us the professionals to be competent on that front. So for me it is fascinating that I have to have high standards of technique delivery with modern styles. One of the most common problems is the chemical qualities of the local water used in showering. The water is harsh and it effects the stability of the colours, their lasting effect and makes hair dry fast. 4. What have you done on my hair today ? My colouring technique has been developed from a personal interest in the effect of sunlight on hair. I utilize the French ”Balayage” technique, a free-form approach to highlighting hair, that can be accomplished in minimum time. I have used the ‘Shatuge’ technic, one of the varities of Balayage. 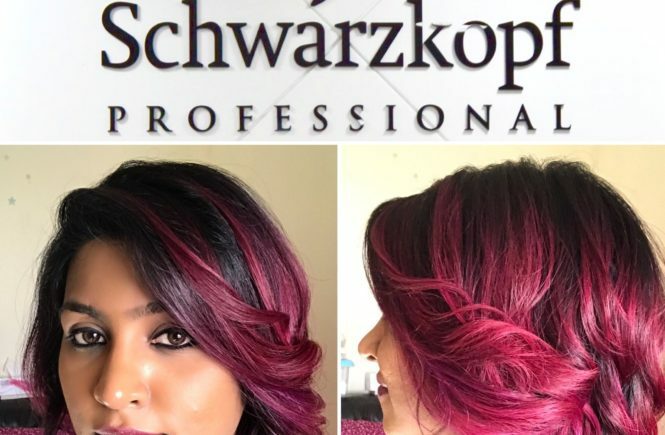 I used L’oreal Professional hair color (poudre multi technique-8, magirel mix of purple and red), Yansey professional Color mask and of course Olaplex which is a must if you are going for any color technique (read more about Olaplex Here ) giving you a Marsala effect. In simple words, a mixture of purple red balayage. It’s been over a month and I still am enjoying the color change Anna gave me. My hair feels soft, shiny and smooth despite the color change due to her expertise work. 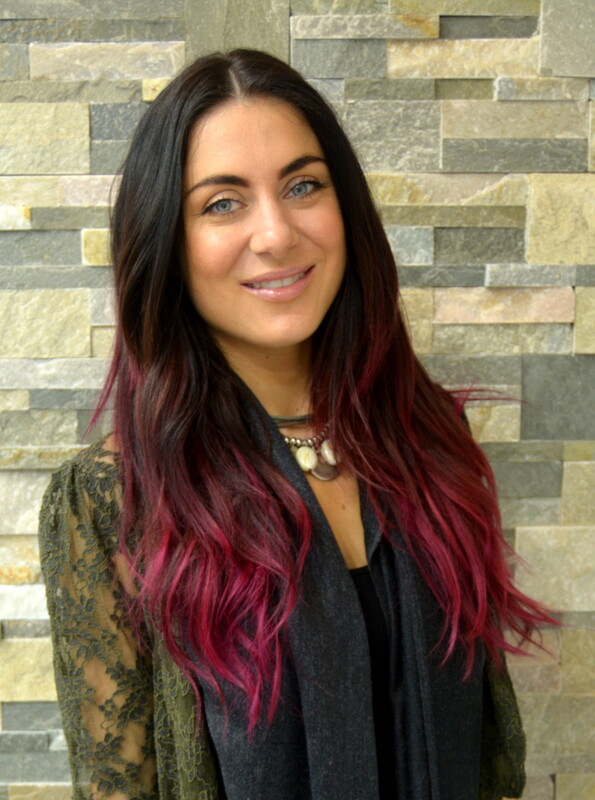 If you are looking out for a color change with healthy looking hair then Anna is your Colorist. She comes with a world of Hair expertise. Just what you need in your hairdresser. Make sure to book your appointment with Anna at BDB, located in Motor city, Dubai. I saw some of Anna’s work and I wasn’t sure but now that I see your color I am going to her for sure!! Thank you so much!! I’ve only been here three weeks so I’m nervous about hair dressers because I have very curly hair. Hopefully she and I find a great color and cut for me. Who cut your hair?